For those who like a bit more storage next to their bed, our 3 drawer nightstand is a perfect solution. Resembling a small chest of drawers, it should work well in any bedroom. 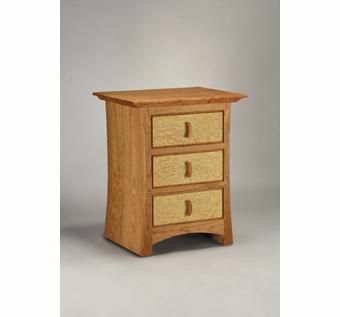 Choose from cherry or walnut, and a variety of figured maples for the drawer fronts.Constructed of cherry and birdseye maple.